When a Banksy painting “self-destructed” after selling at auction for £1.04 million ($1.4 million) last week, it looked like the perfect stunt — one that caught onlookers and the art world by surprise. But the anonymous artist has now suggested that things didn’t go quite to plan. 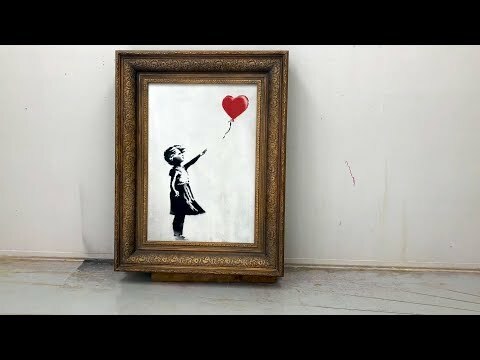 A new video, posted on Banksy’s website Wednesday, implies that the 2006 painting “Girl with Balloon” was supposed to be entirely destroyed. It shows footage of an identical-looking artwork being shredded from top to bottom, with strips of canvas falling from the frame. You’ve got to keep on practicing.